Thumb Turning Green? How to Create Your Very First Garden | Global Garden Friends, Inc. Many people find a passion for gardening later in life. The ability to tend to something with your own hands and see it grow can be therapeutic and calming for many of us. If you are lucky, you might even grow something you can put on the dinner table. But gardening is not as simple as it seems. There are steps you can take to maximize your yields and keep your garden healthy and beautiful. If you find your thumb turning green, here are a few tips to create your very first garden. Just like real estate, planting a garden is all about location. There are a few key things you need to remember when determining location. Sunlight is a big one—without proper sun coverage, nothing will grow. If you are using outdoor soil, you should also test the area around your desired garden to make sure it has the proper PH and salinity to grow your desired plants. Your garden bed should be designed around your ideal crops. If you are growing tomatoes, for instance, you want a smaller bed, with structures to protect the vines from pests and also to grow upon. 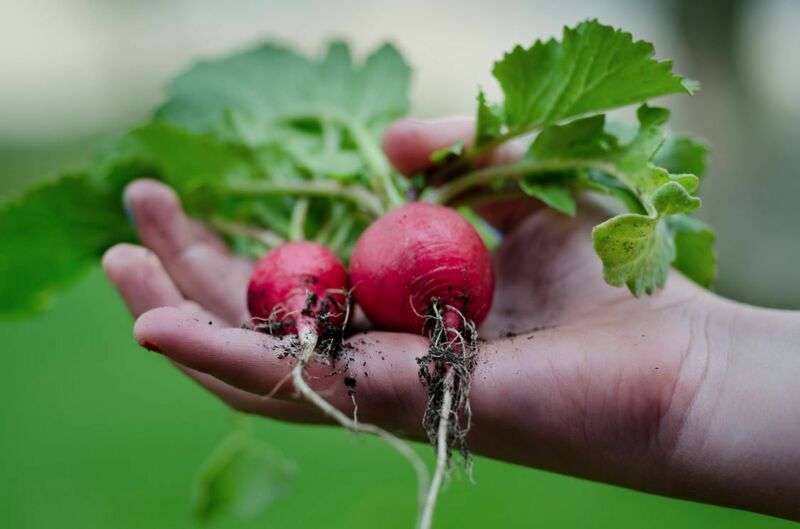 If you want root vegetables like potatoes or cucumbers, you will need deeper soil and a wider area for them to grow their roots. Once you have determined what you want to grow, build your bed around those parameters. This cannot be stressed enough. Purchasing the right soil is integral to your garden’s success. Your soil should be optimized for the plants or crops you plan to cultivate. There are a number of soil suppliers on the market, from the nationally located FoxFarm to more local companies like Purdy Topsoil & Gravel. Your choice of plants will change depending on your climate, rainfall, and geography. For example, someone living in the American Southwest might want to plant cacti or low-water plants like lentils. Someone in a more temperate climate will have more options hemmed in only by their imagination. Your garden is your baby, and you will need to lavish a considerable amount of care to keep it in good order. Mulching is integral for keeping good bacteria and insects alive. Think of your soil as a living being—you need to work to keep it healthy, and in turn it will keep your plants healthy. Gardening is an amazing way to get outdoors and reconnect with nature. Follow these steps to build your perfect garden.